Push the limits of business travel management with cutting-edge technology. The most essential tool for corporate travel management is AirPortal®. This powerful technology delivers total digital access to your entire business travel program in real-time. AirPortal 360 Mobile is the first and only comprehensive mobile app for corporate travel managers. 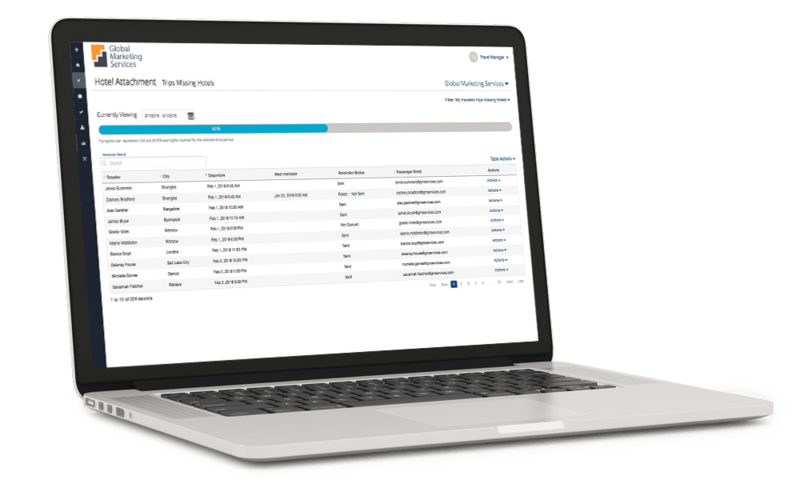 AirPortal’s SecurityLogic delivers real-time risk management data and dynamic communication options. AirPortal transforms business intelligence into actionable intelligence so you don’t just own the data, you own the future. AirPortal opens the door to online booking tools to help you cut costs and give your business travelers self-service options. 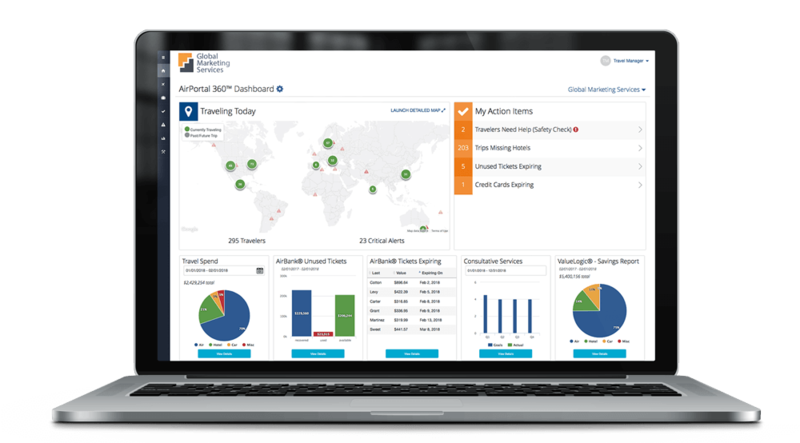 AirPortal 360 is an intelligent dashboard and mobile app that gives you complete access to every tool you need to manage your corporate travel program. With a single sign-in, you’ll immediately see your travelers’ locations and your daily action items. With movable widgets and a simple navigation menu, you’ll have customized access to the most important travel tools. 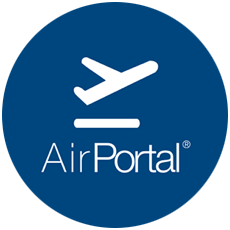 AirPortal 360 Mobile is the first and only mobile app developed for travel arrangers. The ability to manage your entire travel program from the palm of your hand helps you optimize your entire travel program. Our dynamic risk management tool, SecurityLogic, gives you the ability to locate travelers by name, travel date, and/or location. Keep your travelers safe with SecurityLogic’s Safety Check feature. For extra security, you can also set up auto-alerts that push directly to travelers via text and email. SecurityLogic provides real-time data on weather, airport delays, security issues, and disaster alerts—making sure you’re ready for whatever comes your way. Christopherson’s smart itinerary for business travelers, Airtinerary, delivers detailed travel plans in an easy-to-read format. Link to online check-in, directions, and maps with Airtinerary. Business travelers can also easily add plans and modify their itinerary through the built-in feature. With universal calendar and TripIt integration, Airtinerary allows your business travelers to access and keep track of their plans from anywhere. Ensure travel policy compliance on full-service bookings by tracking approvals, modifications, and cancellations with Christopherson’s Travel Approval. Travel Approval syncs full-service bookings to a digital approval system, providing a documented accounting of the entire process. Never miss a low fare or ideal plans with step-by-step notifications. Also follow the entire travel process in AirPortal 360. AirPortal allows business travelers to manage their individual profiles and store travel preferences, membership numbers, credit card information, and more. Travel profiles are fully synced with both our online and full-service booking options. This saves time and hassle, and ensures the accurate communication of every detail needed for enjoyable business travel. Corporate travel managers also have access to all their travelers’ profiles should they need to make changes, enroll new users, or deactivate travelers. Nearly 10% of all business travel airline tickets go unused. AirBank captures those unused airline tickets in a centralized database to prevent their loss, cut costs, and eliminate waste. To ensure the reuse of unused tickets, AirBank directly integrates with online and full-service travel booking options. Total transparency encourages active participation in the reuse of the ticket. Managers can also access real-time status updates and reports on both tickets and funds. 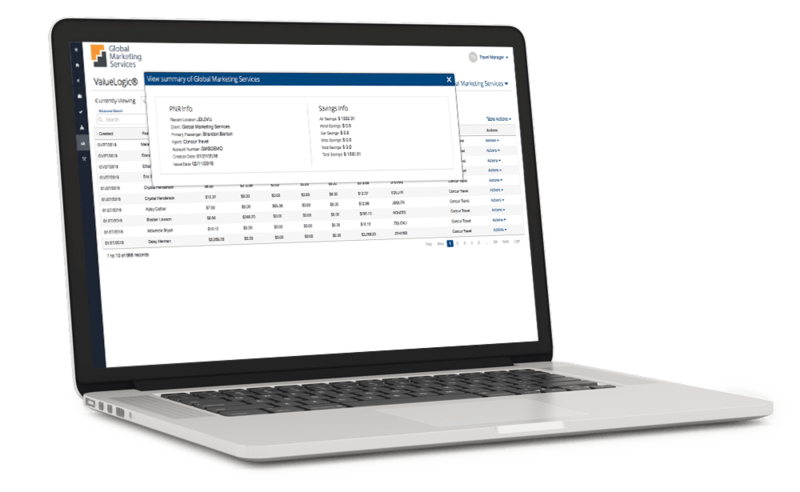 AirPortal’s ValueLogic tool provides data on the ROI of our partnership so you can see exactly how and where we’re saving you money. iBank, a leading travel management reporting tool fully-integrates with AirPortal. By maximizing the power of iBank, you’ll have a consolidated, yet comprehensive view of your company’s travel spend. With more than 90 benchmarking metrics, Prime Analytics identifies and grades key data points allowing you to clearly view your organization’s performance. Hotel ReCheck helps maximize your hotel savings by monitoring full-service reservations. If we find a rate lower than your current reservation for the same type of room at the same hotel, we’ll save you money and book the less expensive option. Low hotel attachment results in weakened vendor negotiations and compromised duty of care. Hotel Attachment solves those problems by identifying itineraries with missing hotel bookings and reminds travelers to complete their itinerary before travel. With Virtual Pay, single-use credit cards are created per hotel booking so you have a safe, secure way to pre-authorize hotel payments. This limits fraud exposure, consolidates hotel spend, eliminates traveler reimbursements, and improves billing accuracy.  AirPortal already integrates with numerous technology tools and the list is growing. 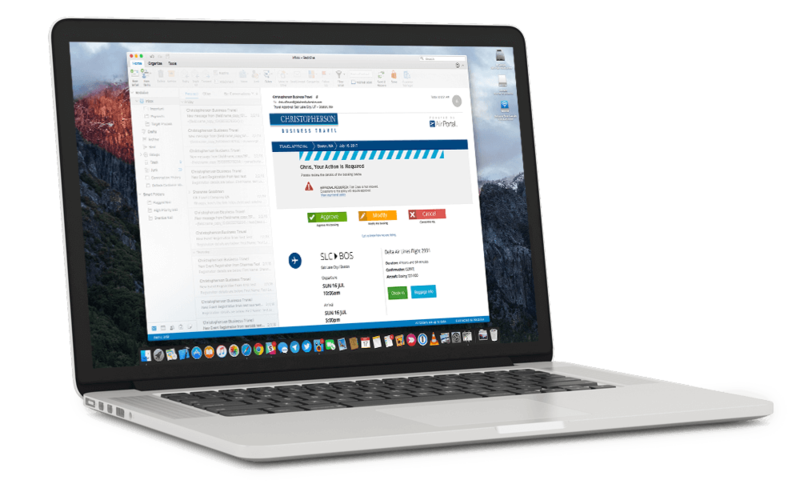 ”AirPortal 360 Mobile allows me to see where all of our employees are at any given time and send them emails in case of an emergency. Revolutionize your travel program with full-featured & fully-loaded travel tools for both you and your travelers.